The contractor will be preparing the project site for the winter. This will include wedging asphalt around manholes on Burton, Adelpha, Phillips, and Kathy Kourt. 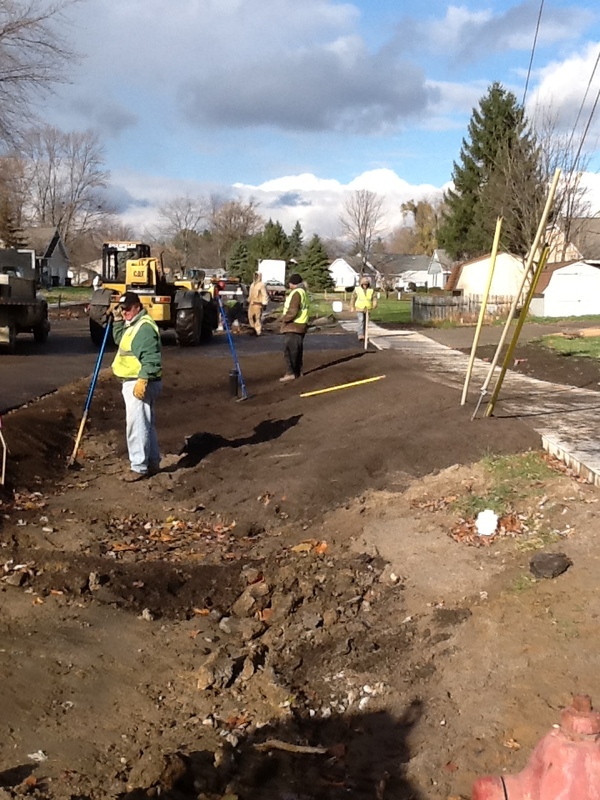 The restoration crew will be working throughout the project site cleaning up various items including placing topsoil along driveway edges, constructing gravel driveways, installing mailboxes, and general project cleanup. 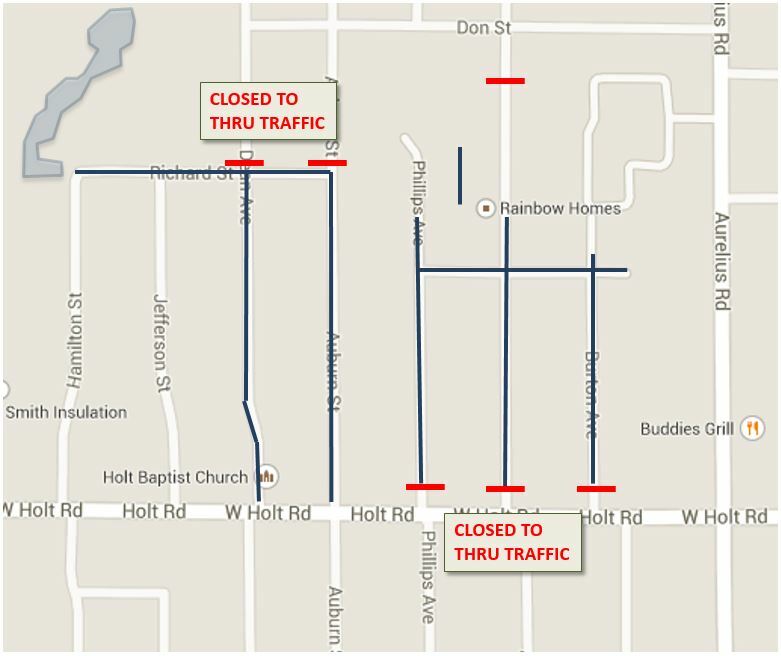 Dean and Auburn Avenues will remain closed to thru traffic from Richard Street to Holt Road and Phillips, Adelpha, and Burton Avenues will be closed to thru traffic from Kathy Kourt as the contractor completes this restoration work. We appreciate the public’s patience as you avoid this construction zone.